What can I say just excellent. 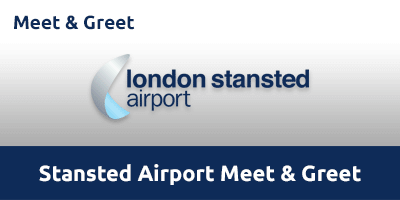 If you're looking for a hassle-free parking solution then look no further than Official Stansted Airport Meet & Greet Parking. This arrive-and-fly service is perfect if you're weighed down with heavy bags, travelling with family or short on time. No transfers required with this conveniently located meet and greet service. There's no need to worry about your car while you're away; it will be parked in a secure on-airport car park that has CCTV and manned patrols. Meet and greet is suitable for Blue Badge holders. This car park is open throughout the year, 24 hours a day. Exit at J8a or J8 depending on what direction you’re heading from. Follow the road for just over one mile and take the Stansted Airport exit and branch left. Take the third exit on the next roundabout, following signs to the Short Stay car park. Take the second entrance on the left, signposted Meet & Greet. Drive to the meet and greet area in the Short Stay car park, located right by the main terminal. Approach the barrier and your vehicle will activate a call to the customer service staff who will provide parking instructions. Once parked in the relevant lane, secure your vehicle and take your keys to the Meet & Greet Reception Office. Take the three-minute walk to the terminal. Go to the Meet & Greet Office. Staff will return your keys and direct you to your car. Collect your car and exit the car park.